A man was arrested after he reported his girlfriend had been kidnapped by two men driving a U-Haul truck. A Tavernier, Fla., man was arrested Saturday after falsely reporting his girlfriend had been kidnapped, officials said. Matthew Corp, 35, called 911 and told dispatchers his wife had been kidnapped by two men driving a U-Haul truck and heading north from the 92 mile marker, according to a Monroe County Sheriff's Office press release. Officials sent out a notice to be on the lookout for the truck and deputies were sent to Corp's address. When they got there, deputies said they found two women coming out of his apartment. One said she was Corp's "now ex-girlfriend" and that she was moving out, the release said. Corp, who was intoxicated, then came out of the apartment and began to yell at deputies, saying he called in the false kidnapping to keep his girlfriend from leaving the apartment, the release said. 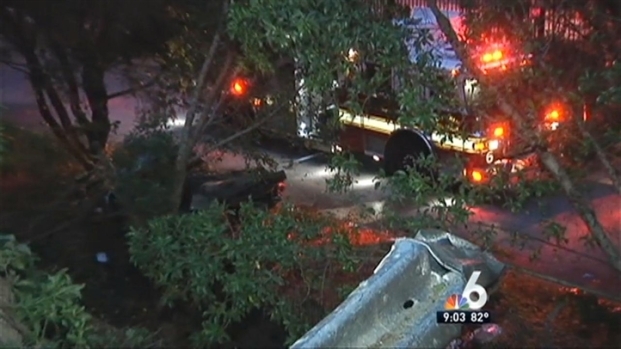 At least one woman is dead after a a car she was traveling in fell off Interstate 95 at Northwest 32 Street. Corp was arrested and charged with misuse of 911 and resisting arrest. Jail records show he is being held at the Monroe County Jail without bond.